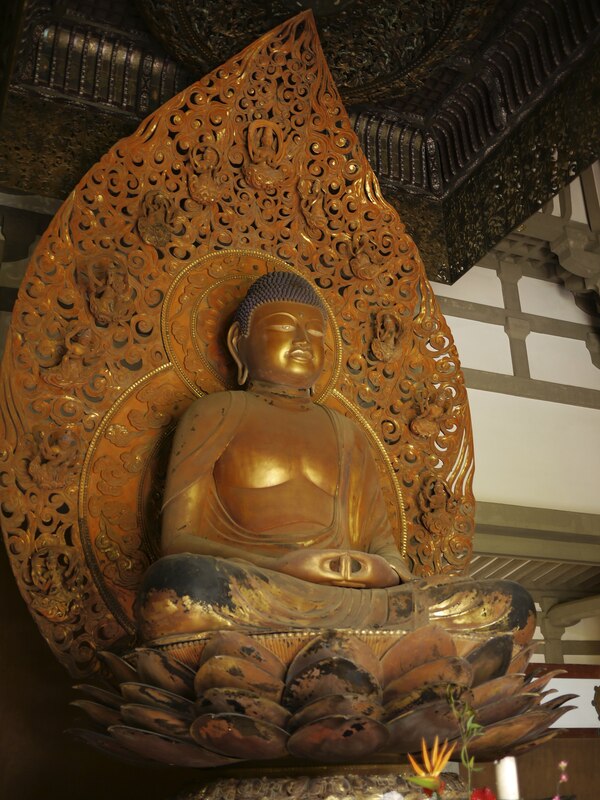 Little did we know when we started this day, I would be able to see a piece of my father’s history. But that story comes a bit later in the morning. Of course we started the day with a beach, water walk. The tide was way out, so we were able to explore nooks and crannies of the reef. The water was a little rough, so no underwater photos were worth to take. 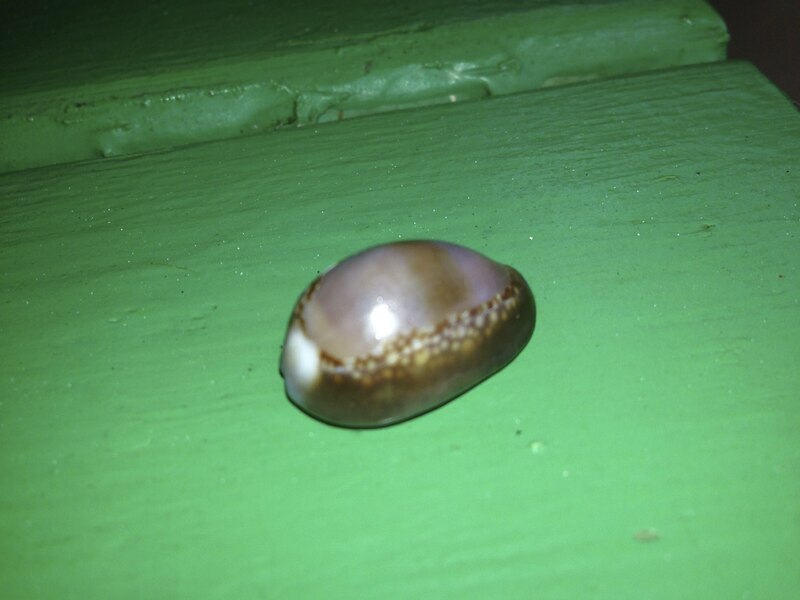 Mike found a gem of a shell today, though. After that we noticed the clouds forming on the mountains and realized our planned hike may not be the best activity for the day. We caught the local weather and decided not to hike. Where is the top of the mountain? What to do? We asked our friend, Colleen, if she wanted to do something. 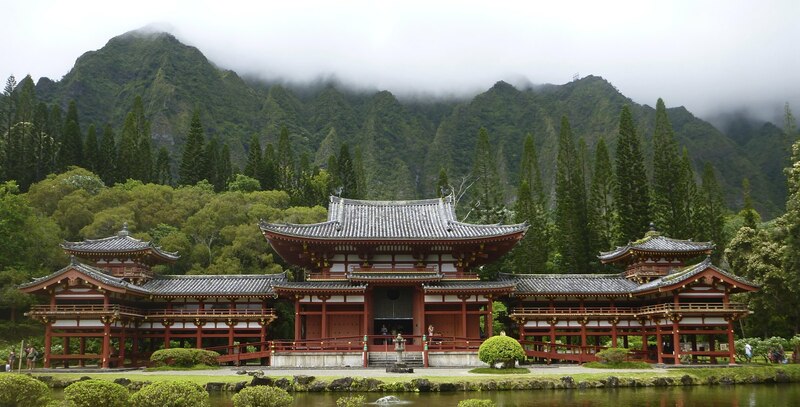 She suggested the Byodo-In Temple. 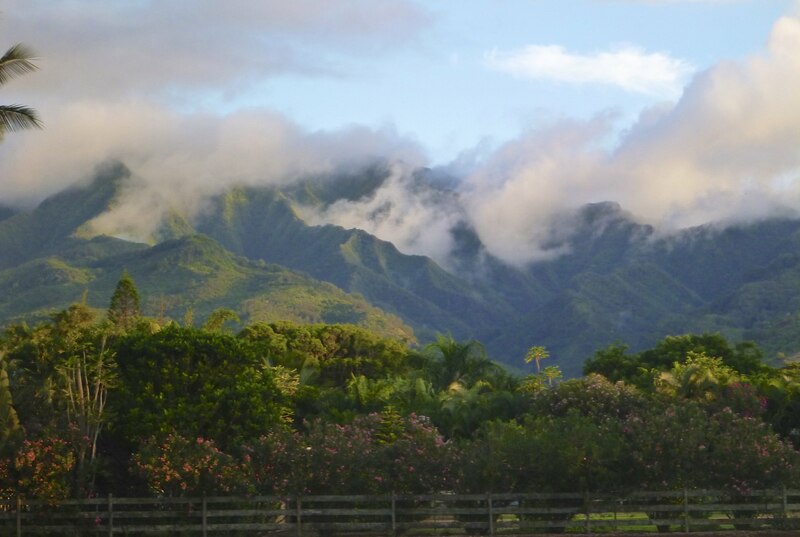 Perfect, we love this place, with the mountains behind it, especially if it is a cloudy day. The clouds add an air of mystery to the place and for some reason keeps the crowds down. After that we went to the base to have lunch with Paul. This was a first for Mike, he had never been on a military base before. I grew up in a town next to a military base, so friends would often take me on base. 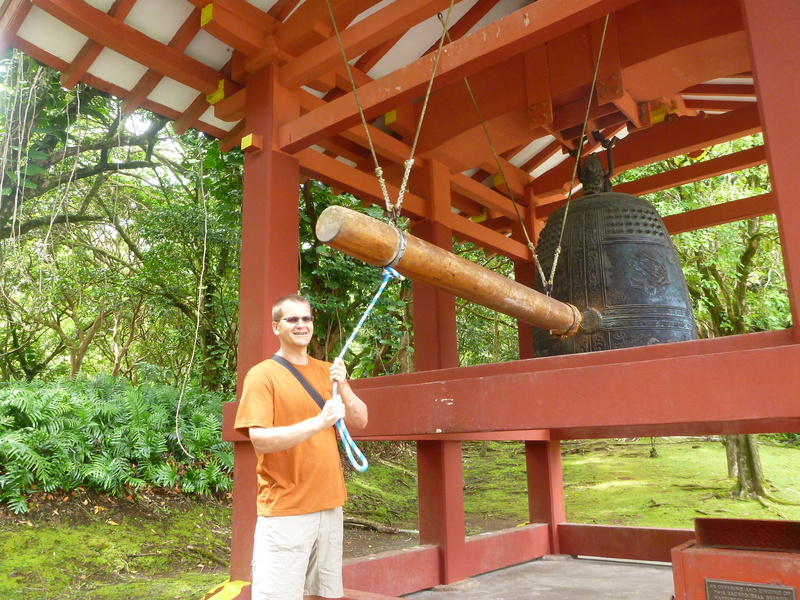 What was special for me though, was being at Pearl Harbor and on Ford Island, because my dad was here during WWII. 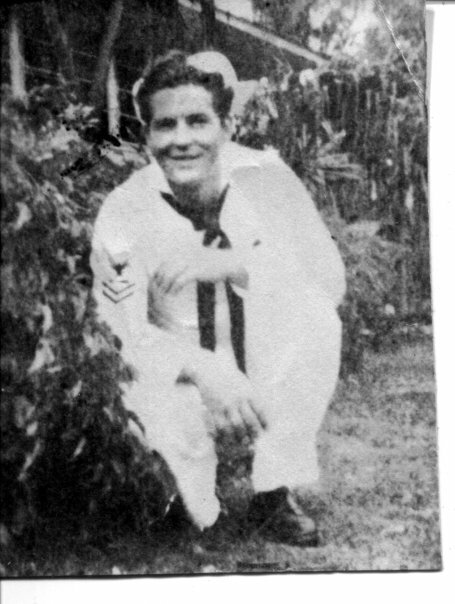 My dad was on the USS Greenling, as an 18 year old, after the bombing of Pearl Harbor. He spent time in Hawaii, Midway, Panama and off of Japan on this submarine. 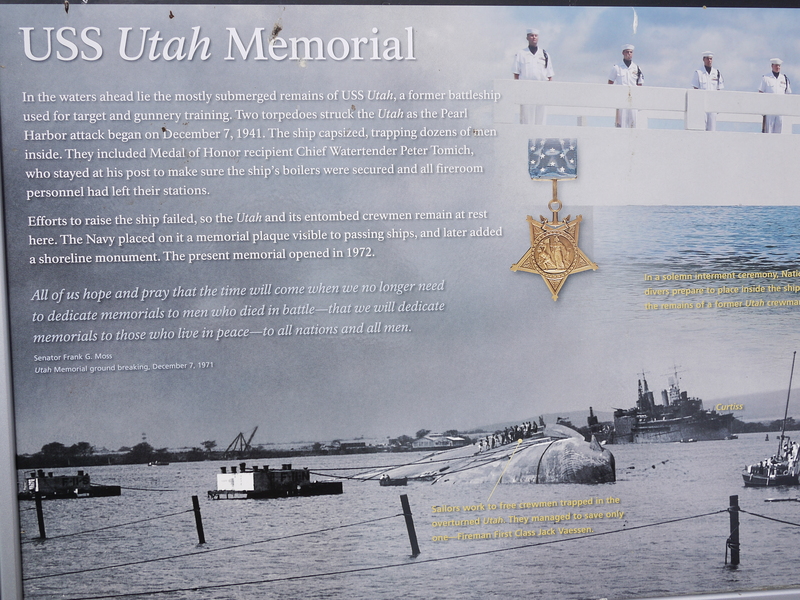 The first time I visited Pearl Harbor, three years ago, the experience moved me to tears. I wished my Dad had shared his stories with us. But like so many veterans he kept those stories locked away. 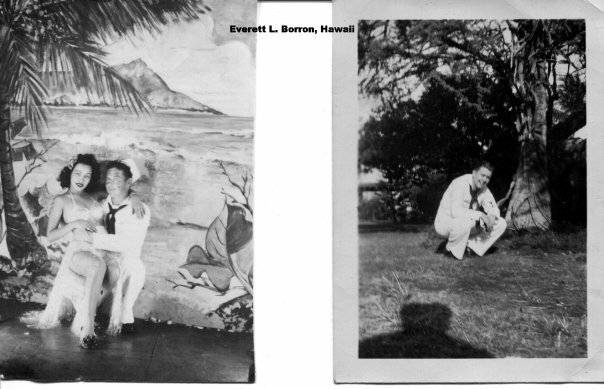 All we have now are photos of him on the islands with very little information written on them. Colleen played tour guide for us and indulged me by driving over to where the submarines come in. 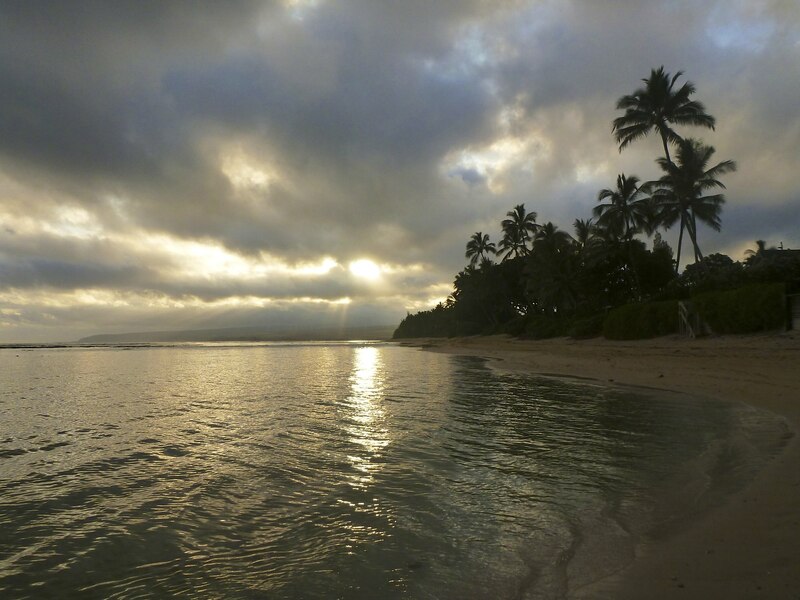 I pictured my dad here, coming ashore for leave and finding his “hula girls” to take pictures with. 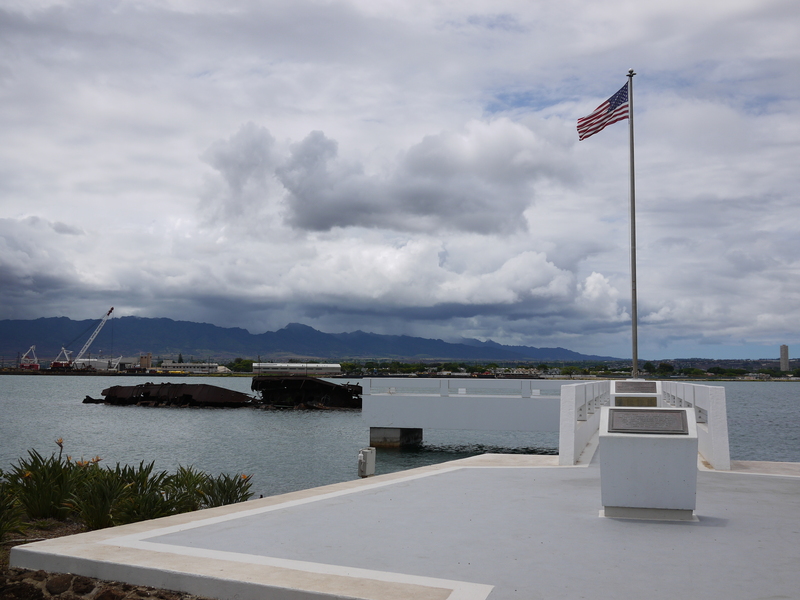 We had also the opportunity to see another view of the USS Missouri and USS Arizona. 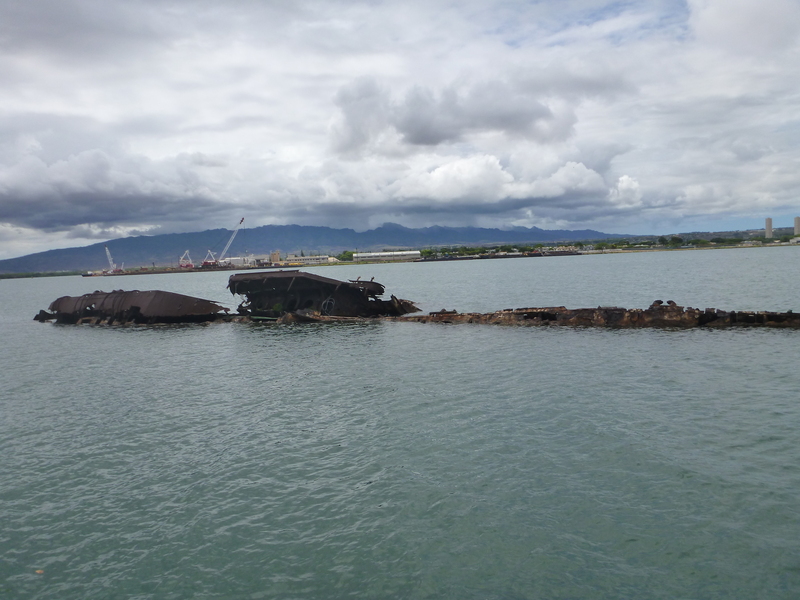 We saw the USS Utah, another boat that was sunk during the attack. We learned so much today from Colleen about the base, military life and their family history tied to the base. For us, this is what makes for a wonderful, unique and memorable vacation. After the tour, we headed back to the country. We had a few errands to run and wanted to pick up another type of coffee from Green World Farms on our way home. We arrived home after 4 p.m., out latest day out yet. I caught up with the world, while Mike went for a snorkel. After snorkel time, it was a dinner of leftovers. Decided tonight to stroll down the street, because the clouds and the mountains were playing peek-a-boo. 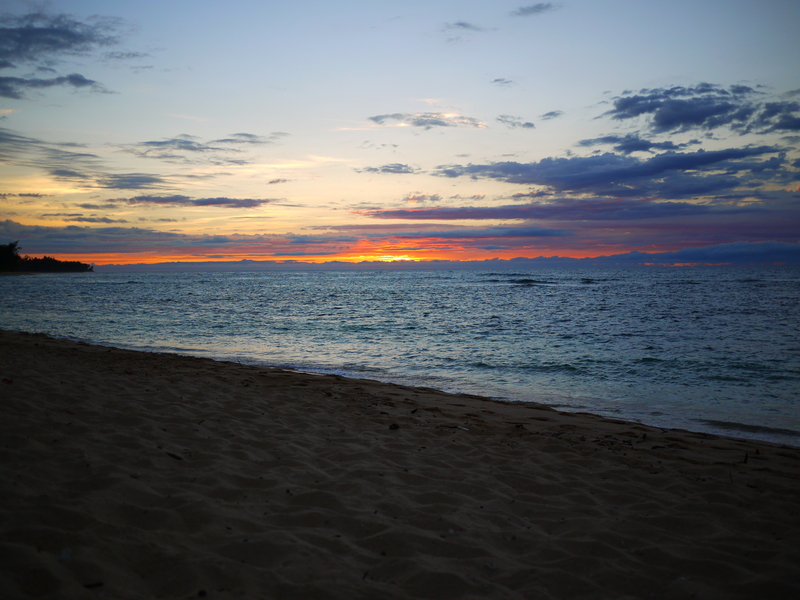 While strolling along, we decided to watch the sunset from the public beach. The colors were glowing tonight. We started the day expecting to hike, but due to weather, our plans changed and I am so pleased they did. I had a chance to remember my father and pay a private homage to him, thankful for our friends for giving us that opportunity.